I would like to respectfully submit for review Allen Iverson for an EDGE&TA Hall of Fame Award. Al joined Branch 29 in May of 1994 and served as director from 2004 to 2005 and from 2010 to the present. Al is a welder by trade and worked for Beale Trailers for many years.He helped build the club’s pulling sled several years back and most recently been helping with the restoration of our 75hp Holt engine. He has put in an estimated eighty hours welding up the cart for the engine to rest on. Al is a tireless volunteer getting involved with almost every project the club has going on. He takes it upon himself to keep the lawns mowed at the grounds through the summer and sprays for weeds where needed. 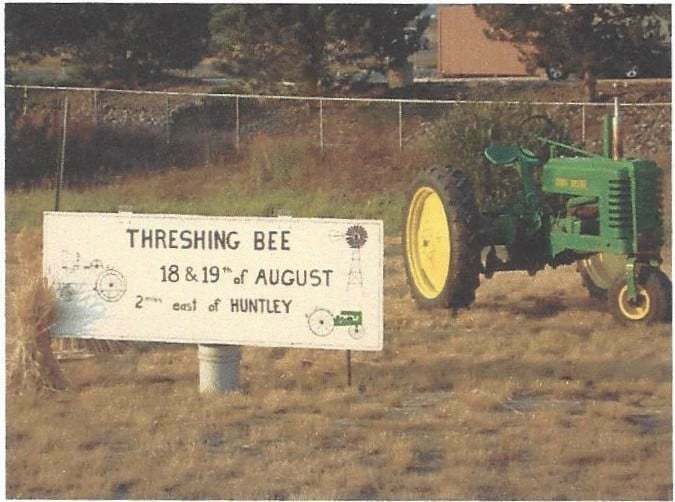 Most of all I would call Al the “Voice of Branch 29” as he sets up and does radio interviews with most of the local stations talking about our Threshing Bee.He also sees to it that posters and flyers are distributed around the state probably more so than the rest of our membership put together. He even sets up his tractor and wagon near a truck stop to advertise the event. 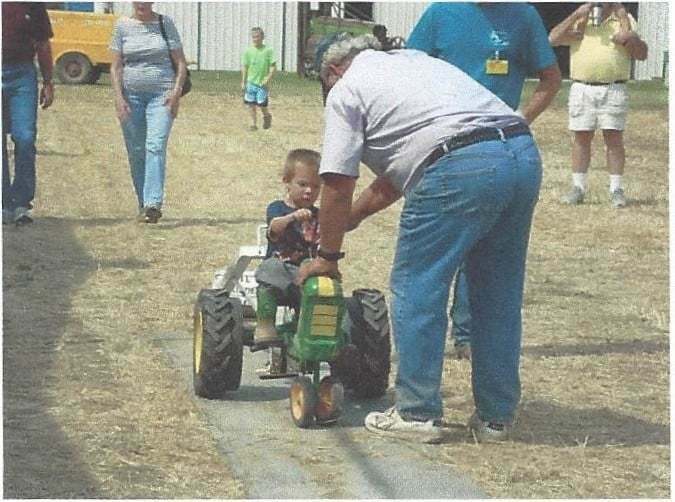 During the show he acts as one of our announcers in between helping with the kid’s pedal tractor pull and coming up with fun events like corn eating contests and steam engine races. When our member that created our branding irons for shingle branding moved to the other side of the state Al stepped in and has been building the irons along with another member ever since. Al’s space at home doesn’t allow for maintaining a collection of old iron but he is a dyed in the wool John Deere fan and owns a nice BN that he gets to enjoy when he finds the time. I don’t believe there is a more enthusiastic member of Branch 29 than Al and I believe he is proof that you don’t have to have a massive collection to enjoy and promote our hobby. I believe him to be an excellent candidate for a Hall of Fame Award as his dedication and hard work over the years has been both inspirational and instrumental in the growth and success of Branch 29.